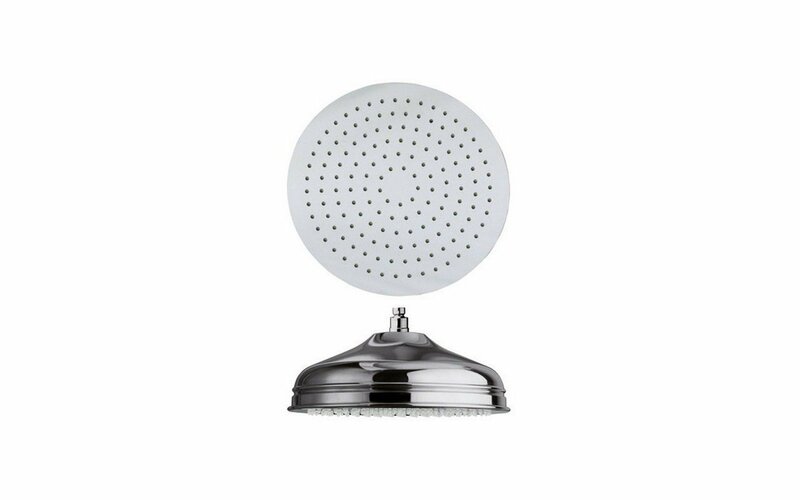 This attractive retro showerhead takes its inspiration from old-world style and charm and re-interprets it with modern flair and function. 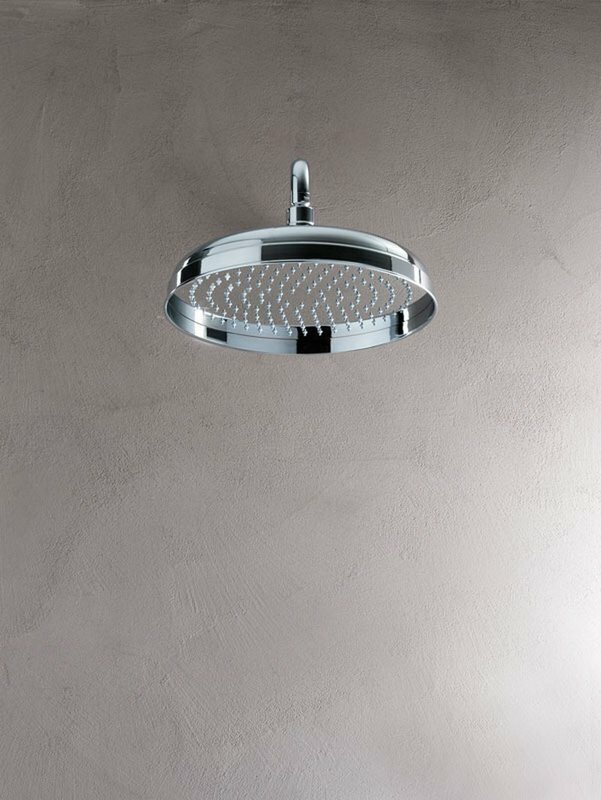 The softly curved design of the circular showerhead is complemented by its understated ribbed profile and slightly extended rim. 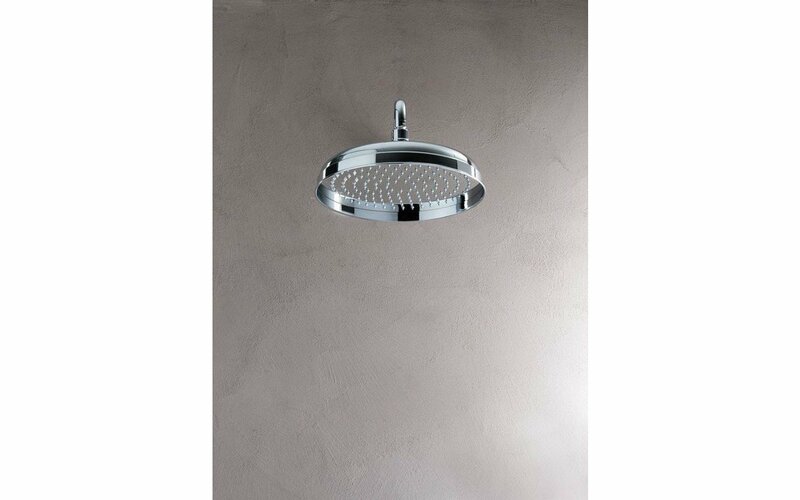 All is made modern and contemporary by the stunning, high sheen, chrome finish and its minimal design depth – just 14cm from the rose to the bottom of the fitting, making it ideal for showers of varying heights. The 11.8" (300 mm) wide head delivers a satisfying cascade of water from over 150 water jets.